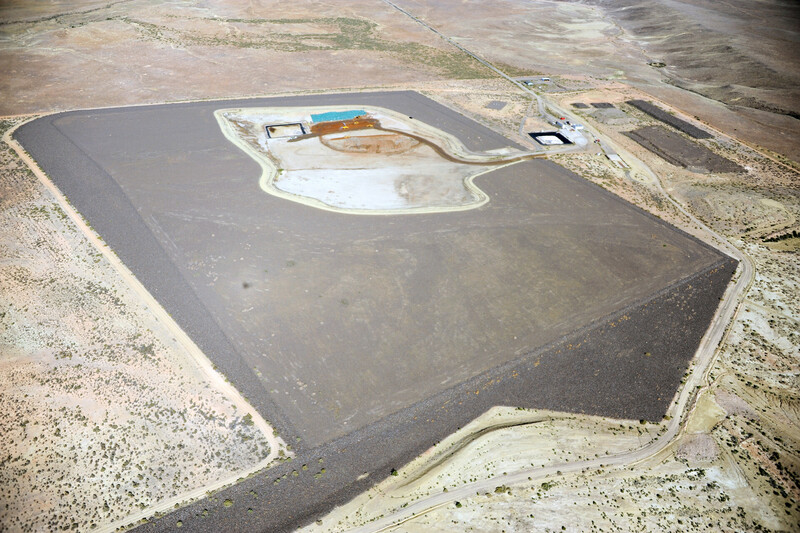 A radioactive waste disposal site for material from a former uranium mill, removed as part of the federal Uranium Mill Tailings Remedial Action Project. The Climax Mill, located on the Colorado River in the middle of Grand Junction, operated from 1950 to 1970. 300,000 tons of the 2.2 million tons of tailings left at the site have been used as aggregate or fill at more than 4,000 construction projects throughout the region. The remaining tailings as well as contaminated soil and other material dug up at the site (for a total of 4.4 million cubic yards) were transported to this disposal site, 18 miles south of the city. A section of the 94-acre cell was completed in 1994, but the rest of the cell remains open, as it continues to accept contaminated material from sites in the region that used the mill tailings as construction and fill material.